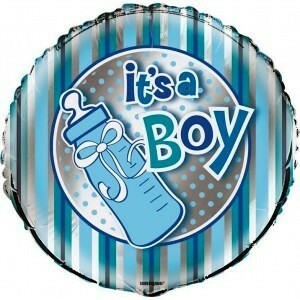 A lovely It's A Boy themed foil balloon with a metallic silver finish. Ideal for a baby boy themed baby shower, to welcome a new baby boy or any other baby boy themed party or celebration. Requires helium filling which we suggest obtaining locally.